Dear Evan Hansen won some Tonys last Sunday. And that’s an amazing achievement. It’s also done something that is vital to the future of musical theatre as young theatre goers grow up and begin the journey to becoming primary demographics for the theatre community: it’s resonating deeply with a young generation. Some say that “young people don’t go to musicals,” but of course, that isn’t quite true. Young generations turn out in droves for Disney movies, which are essentially musicals. La La Land didn’t seem to struggle to convince folks to come watch a musical (even though they struggled in places to convince studios of that while trying to get it made). The Pitch Perfect franchise, while not exactly musicals in the traditional sense, has had young audiences raving since the first film, which approached cult classic status among many young people. We can safely assume that it’s not the medium itself. Despite people’s oft-declared, “well, I don’t really like musicals” it seems that a show with music can certainly appeal to young audiences. So, what makes most Broadway show’s demographics skew much older? One reality is cost. Let’s not ignore that elephant in the room. Most young people just don’t have a lot of money, and since going to a musical is largely an expensive affair (often well over a hundred dollars a ticket, not to mention travel to somewhere the show is being performed) that can be a major factor. The price point of many musicals is prohibitive for a lot of young people. But there’s something else. Something equally as important and perhaps easier to solve in your own shows. 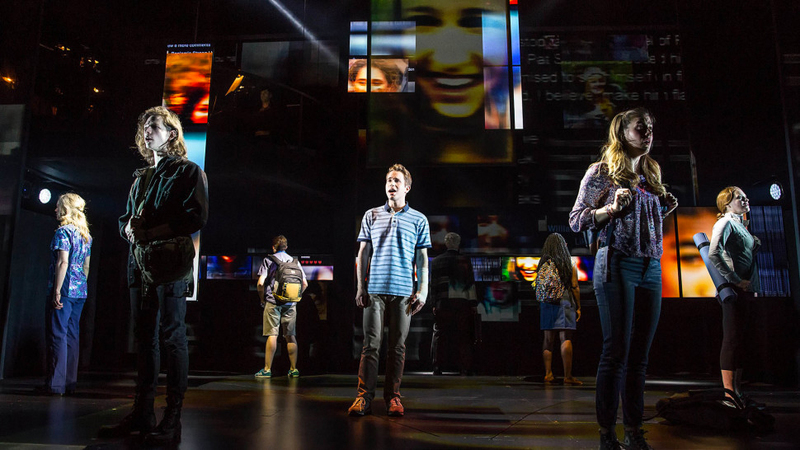 What is it about this Dear Evan Hansen, a lovely little original musical, that drew in young audiences so deeply, even if they couldn’t get to the theatre to see it? I’d say it’s right there in one of the major themes of the show: connection. Young audiences love to connect with your story and not just in the theatre. Dear Evan Hansen, as a show about connection, was uniquely positioned to be a connective force between its creators, actors, and audience. That connection has created a powerful word-of-mouth community who are creating content and engaging in discussions all over social media, even if they can’t get to the theatre to see the show. Broadway shows are amazing at live spectacle, crafting an in-theatre experience that is dazzling and can even be life changing. Less of a primary focus for many years has been the methods of fostering connection between not only the people making it and the audience, but also between the audience members themselves before and after a show. These days, with so many possible avenues of entertainment and media demanding young people’s attention, that connection is more important than ever. When deciding where to spend their dollars, young people need to be invested in what you’re doing, in what you have to say, and in each other. Even if your show isn’t about connection, how can you make it feel like a community? How can you build the links between you, making the show, and the people who will love it? Have you spent time thinking about what matters most about the show and how to articulate it? These are just a few things we help shows with in our THEatre ACCELERATOR (plug: applications are open! If you have a show check it out!). The future theatre goer, the young generation coming up, they crave connection. Art can be a pathway direct to people’s hearts, a life changing connection. In honor of Dear Evan Hansen, make today the day you consider how you can best connect before, during, and after each performance.